Kinmundy (population 892) is located in south-central Illinois in the northeastern portion of Marion County. Illinois Route 37 is the main road in and out of Kinmundy. Interstate Highway 57 runs just to the west of Kinmundy and even has exit ramps to Kinoka Road, about 1 mile southwest of town. The Illinois Central Gulf Railroad runs parallel to Illinois Route 37 as it passes through the heart of Kinmundy. There is a lake to the southwest of town and several creeks and rivers on each side of Kinmundy as well. Kinmundy was platted in 1857. 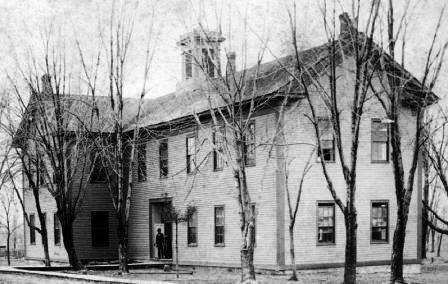 The first school building was built in Kinmundy in 1857 as well. It was a wooden structure that served the town for over 40 years. As Kinmundy grew to a population of 1,200 in 1868 and to a high of 1,500 residents in 1908, it was decided a new building was needed. 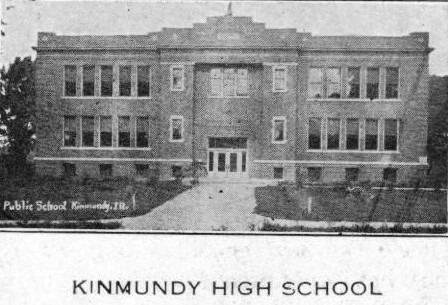 In 1910, Kinmundy built a brick high school building. 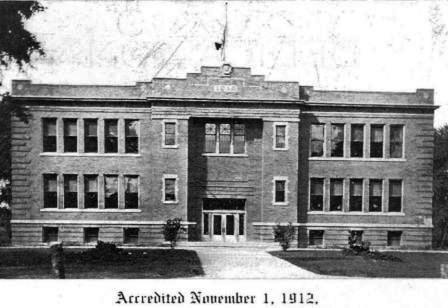 The year 1924 saw the addition of a gymnasium to the "new" building. Kinmundy supported its own high school through the early 1950's. According to Mr. Frakes, the year was 1953 when Kinmundy residents joined forces with those of Alma to form the Kinmundy-Alma School District. There is a sort of discrepency here as the IHSA website address http://www.ihsa.org/school/records/sum0603.htm shows that Kinmundy-Alma High School enjoyed its first basketball season in 1944-45. In any case, the consolidation became a reality. Kinmundy-Alma High School was located in Kinmundy. The original high school building built in 1910 was razed in 1978, making way for a new building. In 1989, Kinmundy-Alma HS joined the Farina LaGrove HS forces to form the South Central School District. The high school is located in Farina with Kinmundy still hosting the elementary and junior high schools for the South Central School District. Kinmundy HS nickname: the "Hornets"
School Fight Song: "We're Loyal to You KHS"
We're loyal to you K.H.S. We're purple and white, K.H.S. For we know you have sand, K.H.S. So crack out the ball, K.H.S. We're backing you all, K.H.S. Kinmundy High School had some great success in boys basketball. One male athlete was nearly the "top dog" in track & field as well. It is probable that baseball was also offered. Kinmundy High School competed in the Midland Trail Conference. We are searching for many missing bits of information such as school team nickname, school colors, fight song, as well as team records and coaches' names. The boys of Kinmundy ruled the area in the late 1930s. A total of three District titles and one Regional title was earned at KHS. The familiar story of lacking the team records and coaches' names holds true here, too. If you have this information, please forward it to us. Scores involving Kinmundy High School in the IHSA State Tournament were located at a website titled "Illinois Postseason Basketball Scores." These scores are posted blow as well. Centralia won IHSA State Championship! Peoria Manual beat Bloomington HS in State Title Game! Centralia lost in Sweet 16 round. 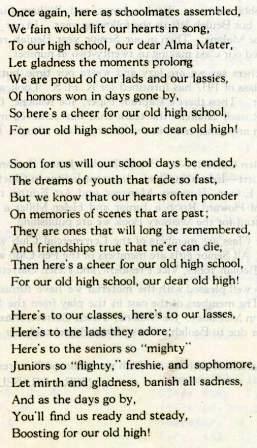 **Kinmundy High School became known as Kinmundy-Alma High School in the summer of 1953. One Kinmundy trackster nearly brought home all the marbles from the 1901 State Track Meet. A boy by the name of "Pruette" took second place in the pole vault competition of 1901. Remember, this was under the old one-class system, so his competition was fierce.